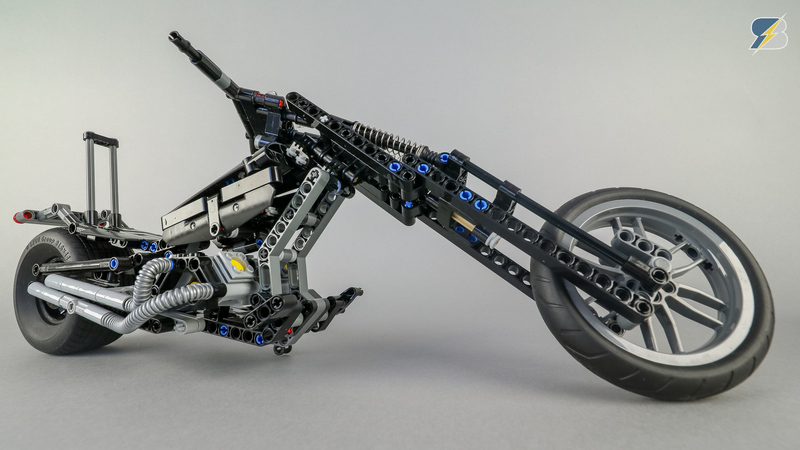 This motorcycle was created for my "Darth's Angels" photo scene. You can check the images and read about the details on my blog. 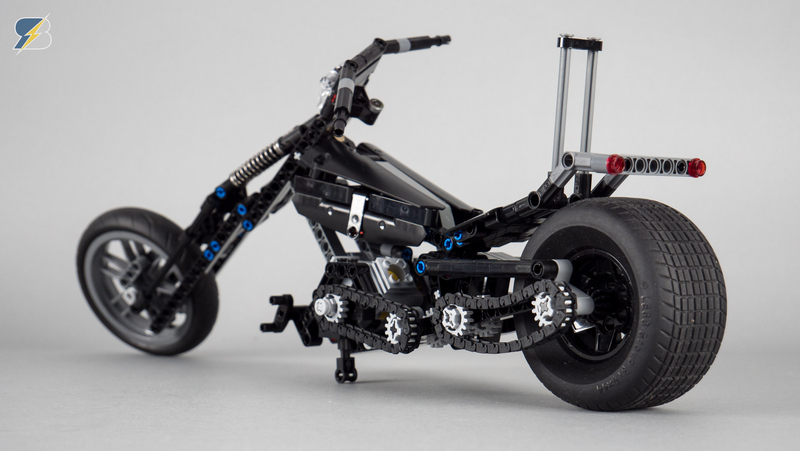 This particular moc only uses parts from two Technic sets: 42036 Street Motorcycle and 42050 Drag Racer. 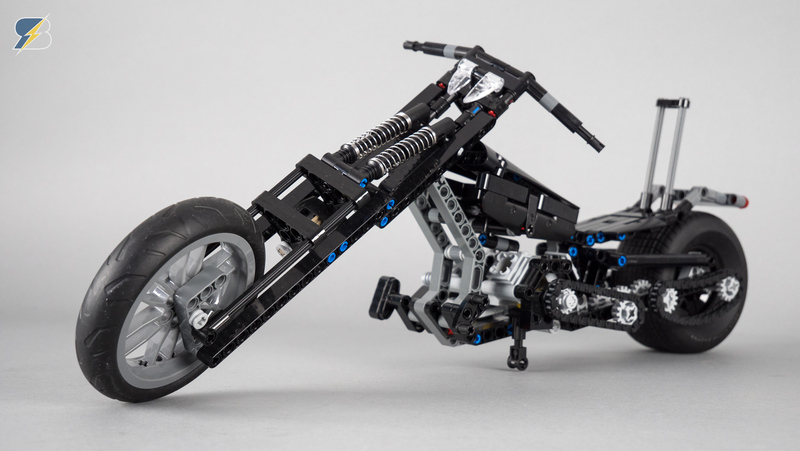 There're 2 pieces of 32062 "Technic Axle 2 Notched in red" which are not visible in the instructions - they have to replace the black handle bars when the figure is sitting on the bike.